The homework is all but done. Now all that’s left is the final exam for the Manitoba Moose. 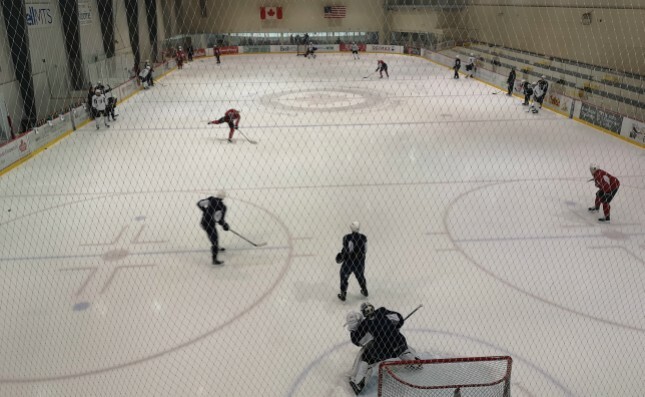 In the middle of a five-team tussle for the last two playoff spots in the Central Division, the Moose got in a practice earlier today at Bell MTS Iceplex. Tomorrow they hit the road for the final three games of the regular season – games that will decide whether or not they qualify for the Calder Cup Playoffs. 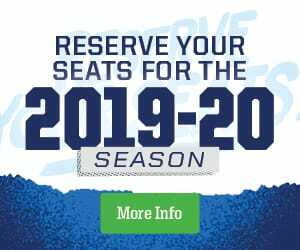 Few thought the Moose would have a shot at extending their season when the team hit the holiday break in the American Hockey League’s basement. Might they be satisfied just to be in this spot? The Moose have put together a 26-13-3-and-2 run since returning to play Dec. 30 against Colorado. It’s an impressive log that includes winning 19 of their 24 home games. They may not score a bunch, but timely goals and a conscientious approach to defense have given them hope and even helped bolster their road record. Manitoba travels to Grand Rapids, Mich. tomorrow ahead of a Friday date with the Griffins. Then the Moose face the first-place Wolves in Chicago on Saturday and Sunday. A daunting task, but one the Moose can take on with some confidence. The club has five of its 12 away wins this season in their last eight outings on the road (5-2-1-0). So what to make of this three-in-three with so much on the line? Pressure? Opportunity? Manitoba has lost a pair of 2-1 nailbiters in its last two visits to Grand Rapids, but one of those was an overtime final. Meanwhile, the Moose picked up back-to-back wins over Chicago the last time the teams met back in mid-February at Bell MTS Place. Road victories in Toronto, Belleville, San Antonio, and a pair in Colorado in recent weeks also give Manitoba something to build on heading into their biggest test of the season. Tune in to the games on moosehockey.com/listenlive, the Moose App and streaming live on AHL TV starting 15 minutes before puck drop.